2012: one of the years the world was supposed to end, Barack Obama was elected for his second term as the President of the United States, and the Olympic Games were held in London. 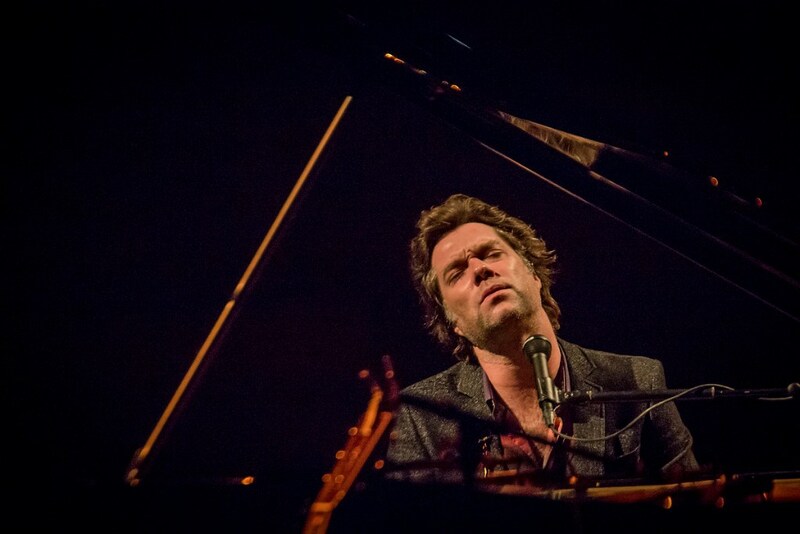 Although the Olympics were happening, Rufus Wainwright decided to title his seventh studio album and title single released that year, “Out of the Game.” Was Wainwright playing on irony, or is it just coincidence? Most likely the latter: Wainwright has stated that the album has two meanings: “One is tongue-in-cheek, meaning ‘I’m done with you, I’m turning 40 soon,’ while the other is literal, meaning ‘I’ve lived in this game all my life and I’m freshly cooked and ready to go.’” Even if we assume it’s about the “dating game,” it can also coincide as a stance on gay rights (“I’m lookin’ for something/Can’t be found on the main drag, no”). These are both relevant to Wainwright’s life, as he’s been married to a man (Jörn Weisbrodt) since 2012. It’s easiest to assume that Wainwright is referencing the dating culture. Primarily because the word choice to use “game” instead of “culture” is common practice, but it also holds a certain amount of irony in this track. “Game” is defined as “a form of play or sport, especially a competitive one played according to rules and decided by skill, strength, or luck.” Using this is the perfect way to describe much of the dating culture in the 21st century—it can be competitive, it’s based on the eye of the beholder as to who has the “skill and strength” to win their heart. So much has changed not only in the past decade in how we court/select our partners, but even from year to year. Since the release of “Out of the Game,” alone, gay marriage has become legal in the United States and is more widely accepted. Besides laws changing, it seems to be much more difficult for single people to find a suitable partner, and be able to share their feelings with that person. There are different stages of relationships now (such as “oh we’re ‘talking’” or “we’re dating but it’s not Facebook-official yet”), and the ease of communication and social media has played a major role in that evolution. These changes in the stages of relationships can easily be what Wainwright is referencing as he proclaims how “out of the game” he is. “Out of the Game” isn’t too far from the norm for Wainwright — he has written primarily about relationships in the past. In fact, it’s a topic that frequently appears on his records, which is why it’s so safe to assume that “the game” he’s referencing throughout the track is referencing dating culture. What stands out with “Out of the Game” is the structure of the track. A prolonged intro before the opening chorus starts the song out, and Wainwright (who usually opts to use more verses than repeated use of a chorus or two), is singing. This song differs from others in his discography because there isn’t as much variety in lyrical choices. But, he doesn’t sing the repeated lyrics the same way in every occurrence—which is a more accurate depiction of other music from Wainwright. Other works of Wainwright’s usually have a wider variety of lyrics, (he doesn’t repeat choruses as often, and includes more verses), and are usually longer in length (“Out of the Game” clocks in around 4:06). What is similar is the range his voice covers throughout the track. Even though he’s repeating lyrics, it’s easy to listen to because it’s never the same “lick” twice. There’s still musical variety from one repetition of the chorus to the next. Which also makes sense—Wainwright describes the album as a whole lot more “danceable” than his previous works, and having repetition in lyrics helps the listener pick up what’s happening faster. And, therefore, feels more comfortable to dance. It’s also a tactic for having successful live shows. Although a lot has changed since 2012, “Out of the Game” will continue to be relevant. People will still have relationships that will end one way or another, and the turnover rate of who’s in the game or not will continue shifting. Plus, the game is always changing. Even for those who have “been in the game” for awhile, it’s still pretty easy to feel “out of the game” at times. Minnesotan at heart, transplanted to Chicago to study Radio/Business & Entrepreneurship at Columbia College. Enjoys long runs on the lakefront path, public radio, and drum corps. Probably scouring Spotify for new music, glued to an audio project, or talking about running shoes.